REGISTRATION FOR THIS EVENT IS NOW CLOSED. THIS EVENT HAS REACHED CAPACITY. Get a Hand – Lend a Hand! 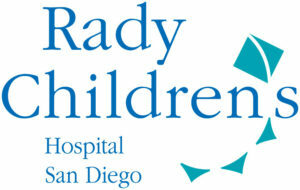 We are happy to announce the return of our Infusion Training Program in partnership with Rady Children’s Hospital HTTC & UC San Diego Health HTTV. This educational initiative is designed to make infusion easier for both patients and their caregivers. 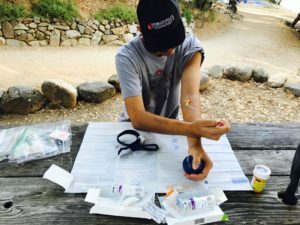 In a relaxed setting and with direction from licensed medical professionals, patients can practice the technique of self-infusion and caregivers can learn to administer home infusions for others. Light breakfast and boxed lunch provided. Rock climbing to follow. All skill levels welcome. 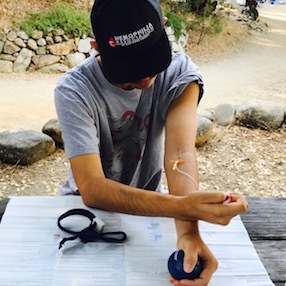 Training will consist of what you need to know to self-infuse, determining readiness for self-infusion, safety precautions, and staying organized. Training will be offered by a team of treatment center nurses on cuffs, practice arms and one-on-one self-infusion. Already know how to self-infuse? Come join us to brush up on safety tips and hone your skills.